The former Harvey Alter School, built in the 1920’s, was purchased from the Rome City School District by Joyce Finnegan Garbinsky in 2010 to house her secure document service. The business itself is already a sustainable operation, and Mrs. Garbinsky went a step further, converting the lighting and heating systems within the facility to an energy efficient model, and equipping the building with solar panels. The final phase of greening this space entailed adding landscaping to an area that was completely asphalt. 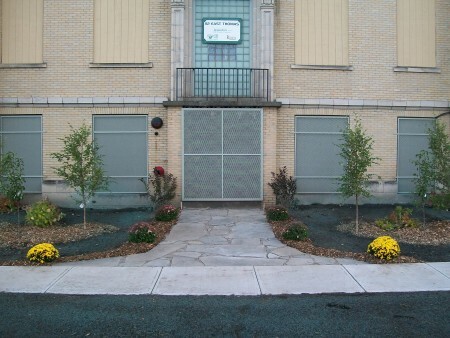 Through her own contributions, as well as donations and volunteer labor secured by Rome Clean and Green, this building’s façade was transformed into a beautiful, tree-lined space as part of the Keep America Beautiful 2012 National Planting Day celebration. Denti Elementary School has had a small garden since 2008. In 2014, 4th grade teacher Elizabeth Moore came to Rome Clean and Green with the vision of creating a greenhouse to serve not only Denti, but the entire Rome Community Garden Network. This structure would be unique, as it would be constructed primarily from reclaimed and recycled materials, including a rammed earth and tire foundation, and a cobb-type outer shell. 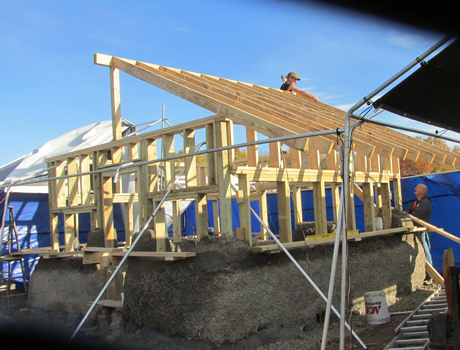 Volunteers from throughout the community, as well as students from the Hamilton College HAVOC program participated in the site preparation and construction of the greenhouse. One of the tremendous advantages of being an affiliate of Keep America Beautiful are grant and partnership opportunities. Rome Clean and Green received a $5,000 grant from UPS and Keep America Beautiful for tree plantings in 2013. 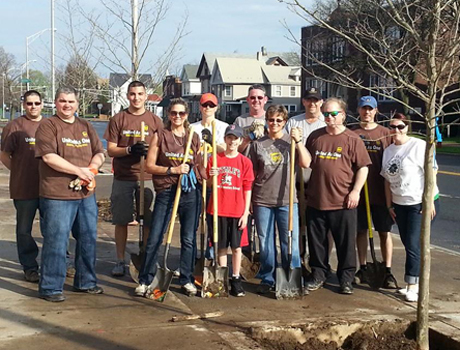 In addition to the grant funding, a group of UPS volunteers were at the ready to assist with the installation of the new trees. Rome Clean and Green was able to aid the city in acquiring over twenty new trees, which were planted along Liberty Street and North James Street in May 2014.